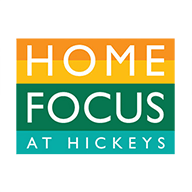 The HomeFocus Mid Season Sale is Now On! Get up to 50% off across Spring collections. Makeover your home this season for less with up to 50% off an unbeatable selection of ready made curtains and up to 50% off a wide range of quality bedding. Be inspired with 20% off furnishings and fabrics. Shop online and enjoy Free Click & Collect to store!